Following the holiday season, many companies saw a significant hike in online sales, which has seemingly impacted a wide range of supply chain functions, including transportation, storage, manufacturing and distribution operations. But we should look at the overall trends for the industry, not just the post-holiday blues. Loretta Chao, a reporter for The Wall Street Journal, recently revealed that while the logistics and transportation market cut thousands of jobs last month, transportation and warehousing are still hiring more, with logistics employment ranking 6% higher since 2011 than total jobs in the same period. Chao explained that a rapidly growing e-commerce market is forcing retail supply chains to transport smaller shipments in quicker times, all while struggling to deal with higher fulfillment prices and lower profit margins. 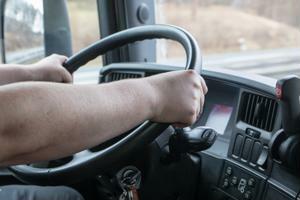 The need to support the increase in delivery and distribution jobs resulted in 1,500 jobs being added by trucking corporations, the source said. Another industry this trend is affecting is industrial real estate, as more businesses invest in warehouse and distribution facilities throughout the country. Chao noted that warehousing and storage companies have added nearly 60,000 jobs since last month. Furthermore, the source revealed that "[t]ransportation and warehousing jobs are still hiring at a faster pace than the overall U.S. job market. The number of people employed in the industry is up 15 percent since January 2011, compared to 9 percent for total jobs in the same period." According to the BLS, some of the top markets for job growth are retail trade and manufacturing. Since last month, manufacturers have added an accumulative 29,000 jobs to the industry. And while there have been fluctuations in these distinct areas of the economy, the report also found that the overall rate of unemployment in the U.S. has remained relatively steady at almost 5 percent.